Specific skin lesions in CML are uncommon, with a reported incidence of 2-8%. 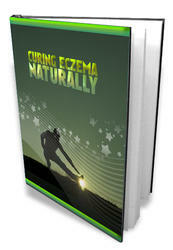 The lesions are erythematous papules, plaques, or nodules that may become purpuric and ulcerated. The lesions occur anywhere on the skin and may affect the trunk, head, and neck (Fig. 1). 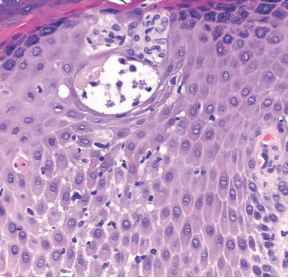 Occasionally, the lesions are generalized in distribution. On occasion, only a single lesion is present (5). One patient with an unusual manifestation of CML developed edematous, purpuric areas of induration on the lower leg resembling stasis dermatitis (6). In a case of acute febrile neutrophilic dermatosis (Sweet syndrome) in association with CML, the leukemic cells were demonstrated within the lesions of Sweet syndrome. Juvenile CML, a rare malignancy in childhood, is characterized by a rapidly progressive course and a poor response to therapy. Specific skin lesions have been only rarely reported in juvenile CML. The lesions may present as annular, erythematous, urticarial plaques with central clearing (7). 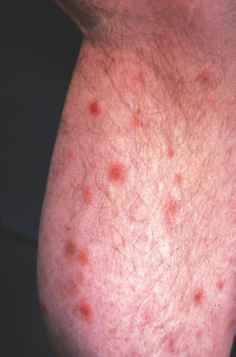 Figure 1 Multiple erythematous papules on the lower leg.